Online shopping is all the rage these days. It has made purchasing extremely convenient as you can now browse through millions of products before purchasing your desired ones, from the comfort of your couch. Online shopping in Pakistan is also on the rise and quite a lot online shopping stores have emerged in Pakistan, offering thousands of products at competitive prices. Online shopping certainly has its perks. Initially, it’s extremely convenient. You do not need to visit shopping malls and stores repeatedly, instead, you can browse and compare products within seconds and purchase what suits you the best. Variety is another huge advantage associated with online shopping. You can browse over to different websites in a matter of minutes, which is certainly way more convenient and less time consuming than physically visiting multiple shopping stores. This provides consumers with a wider variety to choose from. Lastly, online shopping stores are more competitive in terms of prices and you’ll often find your desired products for discounted prices. 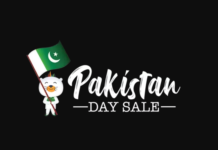 There are a number of websites that are offering all sorts of products in Pakistan including laptops however, only a few of them can be trusted with such expensive products. Here are the best websites to buy laptops in Pakistan. Telemart has grown to become one of Pakistan’s largest online shopping stores. It offers an extensive variety of products from electronics, gadgets, clothing items and accessories to cosmetics. You can find a wide range of laptops of various brands on Telemart, that too, for extremely competitive prices. Telemart offers a price beating policy, which ensures that you’re not overpaying for a laptop or any other product. They also offer a 7 day checking and replacement policy, which lets you return any defected products without any hassle. Homeshopping is also one of the most reliable websites to buy laptops in Pakistan. Homeshopping offers all sorts of electronics and gadgets including laptops, cameras, mobile phones, gaming consoles, home appliances and much more. Homeshopping is highly trusted when it comes to online purchasing of expensive gadgets and their price beating policy along with their 7-Day Replacement policy are quite convenient as well. Homeshopping also provides quick home delivery of products with the delivery times ranging from 24 to 48 hours. iShopping is a relatively new venture but it has grown at an impressive rate over the last few years. iShopping also offers a vast variety of products at extremely competitive prices, usually lower than those offered by their competitors. Shophive is highly regarded when it comes to purchasing of expensive products online. Shophive doesn’t offer the widest range of products, nor do they offer heavy and frequent discounts, but it’s the reliability factor that makes shophive one of the best websites to buy laptops in Pakistan. Paklap is a website dedicated to laptops and it offers the widest variety of laptops that can be purchased online. Paklap also provides extensive information for your desired products and you’re highly likely to find all the latest products on their website. On the other hand Paklap isn’t the most reliable of online shopping websites to buy laptops in Pakistan, as per reviews from consumers. Daraz certainly is the most popular online shopping website in Pakistan as it offers an extremely wide and diverse variety of products. 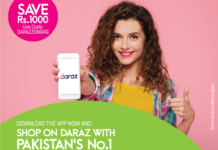 Apparently, Daraz.pk isn’t the king of online shopping in Pakistan anymore and they’ve been subject to heavy criticism by some consumers who had horrible shopping experiences. Nevertheless, the extensive variety, competitive prices and frequent discounts is what makes Daraz one of the best websites to buy laptops in Pakistan.